It sounds like the Tomb Raider reboot (the movie, not the game) will take some cues from the recently released Rise of the Tomb Raider, at least in tone, if not specific details. In an interview with website HeyUGuys for his film Allied, producer Graham King said that the upcoming Tomb Raider movie would be about Lara's search for her father. "This is kind of what we call a 'back to the roots story,'" King said. "This is a young Lara Croft in search to see if her father is dead or alive, so it has a very emotional part to it and I think that’s what Alicia found so interesting about it. I think the storytelling is really good and I think we’ve got the right crew and a great director and I think it’s going to be really fun making a film like this." 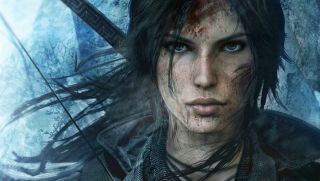 While Richard Croft was long-deceased by the time of Rise of the Tomb Raider, his research - and Lara's determination to continue it - is a major focus of the story. Combined with what actress Alicia Vikander (who has been tapped to play Lara) said about the 2018 movie being based on the 2013 game (the one set on an island), this has me hopeful. We've seen badass action hero Lara thanks to Angelina Jolie; now let's see the human side. Directed by Roar Uthaug and starring Alicia Vikander, Tomb Raider will open in cinemas on March 16, 2018.